Sorry for the silence over here on the blog – I’ve been on leave for the past couple of weeks and am actually not going back to work till October, so I’ve been very much enjoying just having a bit of time off and relaxing! Now I’m back in Dubai with just enough time to unpack, do some washing, and repack my suitcase, as I’m still not done travelling and will shortly be heading off to Portugal! I’m taking Joe with me, and we’re meeting my parents and one of my brothers and his girlfriend for a week of cycling along the coast. I’m keeping my fingers crossed for the last of the summer weather as I wouldn’t mind coming back with a bit of a tan! Starting the month off with a not-so-lovely nighttime turnaround to Beirut, I’m still hoping some miracle will happen and someone will give me their days off for this, but let’s be real here…that’s never going to happen, haha! Then I’m off to Australia and New Zealand for a 6-day multi sector trip, and I’ve already made sure my cousin Sarah is free in Melbourne. I’ve been to Auckland a few times now, so if anyone has any other fun ideas or suggestions of what to do there, do let me know! In between my MEL-AKL and JNB I have 5 days off, so if flights are ok I will hopefully be flying to Manchester to stay with my best friend Lucy for a long weekend! We were meant to go away together in September but it didn’t work out, so this should be a long overdue catch-up! Next up is a trip to Jo’burg, which I’ve only done once (and is actually the flight I met my boyfriend Joe on!) so I’ll be happy to head back for a delicious steak and some wine! Of course there had to be a turnaround to Saudi Arabia in there, but let’s hope its nice and uneventful. Lastly a new destination for me – Accra! Africa is my least-visited continent, so I thought it was about time I bid for some new African destinations, and for this trip we fly to Accra and stay there for 24 hours, then on to Abidjan and back (I believe it’s only around a 1 hour flight) and then stay another 24 hours in Ghana. So any tips or must-do’s are much appreciated! 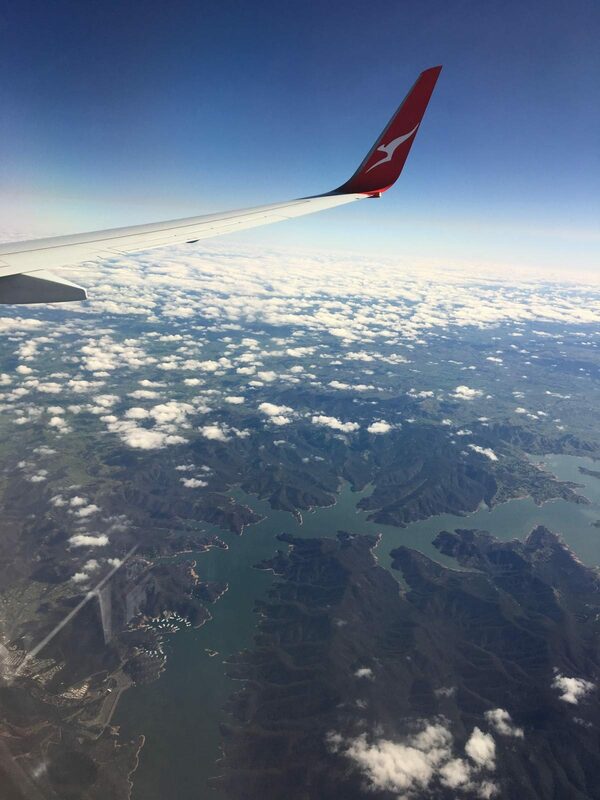 Somewhere between Canberra and Melbourne – thanks Qantas for the ride! P.s. Follow me on Instagram, Facebook & Twitter for more day-to-day updates of where I am in the world! So glad you are flying to Accra, GhanaThere are so many fun and interesting yet historical places to see in Ghana such as the Kakum rainforest and the various slave castles(christianborg castle in osu and cape coast and elmina castles too!) You must try the oxford street at night to experience a typical ghanaian night life. I am Ghanaian and available should you need any info or guide and dont forget to try some local foods too hey! For us here in Ghana ,we say AKWAABA! which means welcome! Hi Kwame! Thanks so much for your comment, I’m really looking forward to checking out all of the things you’ve mentioned 🙂 Any recommendations for local food – what should I try?! You should try the ghanaian jollof rice and waakye, you would love them. Grilled tilapia and banku is nice and palatable so try them really!. Dont forget to visit atleast one of the places i mentioned,they carry histoy! I’m ex-BA crew, loved our Accra trip! Was always one of my favourite routes, the Ghanains are lovely people with a great sense of humour! Depending on where you are staying the Noyaa Foundation orphanage and school is amazing to visit and spend some time at. Alternatively depending on where you stay the Shia Hills wildlife and nature reserve is amazing too, it’s about 40 mins north of Accra, lots of wildlife etc to see. Let me know if you want anymore details! hi there, which part of Borneo you went? share your travel story around Borneo in next post.